Paradontosis is characterized by systemic lesions of the alveolar tissue (paradontium). It`s a dentistry disease that isn’t complicated with inflammation processes and only 1-8% of patients have it, so this disease is quite rare. Atrophic processes lead to a slow decrease in the height of the interdental septa and loss of bone tissue. Don’t confuse paradontosis and periodontitis as they have different symptoms and require different medication. lack of periodontal and gum pockets and purulent discharge. The causes of periodontal disease are not precisely established, but there are a number of factors that can serve as a starting point in the development of this dental disease. coronary heart disease (vegetovascular dystonia, insufficient blood supply to the gums, etc.) as well as endocrine disorders and metabolism failure. The treatment of paradontosis is a long and difficult process during which a complex approach and engaging of different specialists are required. Surgical treatment is one of the most effective ways of paradontosis treatment. In particular, different methods of directed tissue regeneration and special materials (membranes and replanting materials) are used. Cell cultures are used that selectively increase the activity of regenerative processes – fibroblasts, thrombocyte growth factor. Together with osteoplastic materials and membrane technology, the above factors of growth of connective tissue cells make it possible to significantly increase the effectiveness of treatment. Physiotherapy in paradontosis treatment is Vector-therapy, treatment with a laser, photodynamic therapy, electrophoresis, and gums massage. Physiotherapy procedures to a greater extent are aimed at restoring a good blood supply and nutrition of the affected tissues, and at effectively removing of the pathological microflora from the lesions. Avanto clinics specialists recommend you to visit a dentist once every half year for the preventive examination, timely professional teeth cleaning and accurate diagnostics. It`s essential to maintain oral hygiene and timely visit the doctor in case of any negative symptoms to prevent the risk of periodontal disease and other dental diseases. 1. By Metro – Palace Ukraine, walk to the side of Predslavynska St., left turn into Novopecherskyi Lane. The clinic is placed in Prestige Hall residential complex, the entrance is from the side of Anri Barbus St.
2. 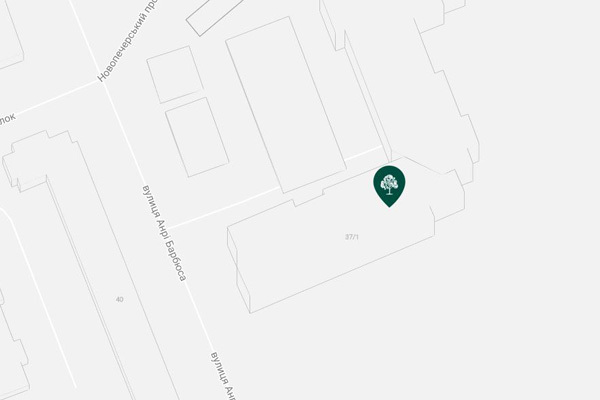 By car – you can get to the central entrance to the clinic from Ionna Pavla II St. (the former – Patrisa Lumumby St.), turn into Anri Barbus St.
1. By Metro – Kontraktova Ploshcha, walk on the street Kostiantynivska towards “Zhovten” cinema. The entrance to “cinematographic” arche. 2. 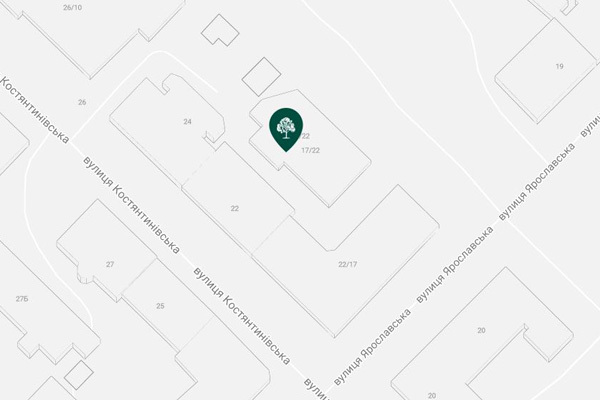 By car – you can get to the central entrance of the clinic from Kostiantynivska St. through “cinematographic” arche. It is also possible to park a car in the parking lot near the square on the street Yaroslavska. 1. By Metro – Pecherska, walk on the street Lasya Ukrainka to the side of The Ivan Bohun Military High School. The building where the clinic is placed is located behind the CEC building and has a wave-shaped roof. 2. 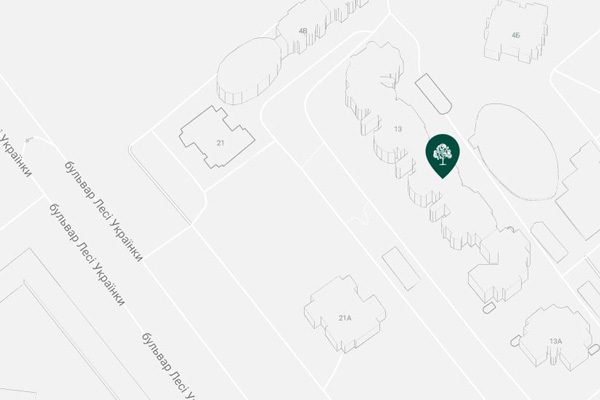 By car – the first arrival to the central entrance of the clinic is possible from Lesya Ukrainka St. behind The Ivan Bohun Military High School. Also it is possible to get there from the side of Staronavodnytska St., the turn is near the pointer of TSARSKY sport club. The building where the clinic is placed has a wave-shaped roof. © 1992-2019 Avanto Advanced Dentistry Clinics. Website created by "JUMP.team"